This is just one of the reasons why he’s a useful man to have around if you are planning on giving your kitchen an overhaul. 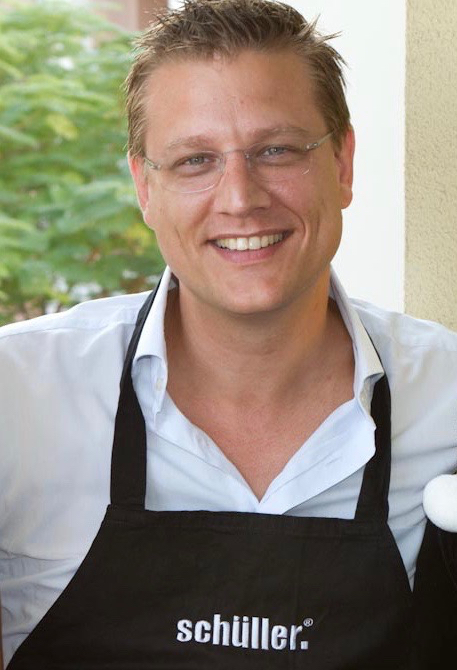 Having spent years working in the industry and living in Dubai since 2003, the ­Munich-born Oliver Goettling launched his Dubai-based company in 2010, and specialises in the planning and installation of high-end, ­German-made kitchens, as well as lighting, furniture and premium-quality knives by ­Felix Solingen. The kitchens are predominantly by the 50-year-old, family-run German company Schüller, the brand behind Next125 kitchens. Last year, Goettling Interiors moved to new, larger premises in Ubora Towers in Dubai’s Business Bay. “We want to be viewed as a serious competitor to the biggest kitchen brands in the market,” he says. “The product definitely has the potential; it just needed to be shown in the right surroundings. Ultimately, the layout of your kitchen needs to make sense – so don’t forget the basics. “Make sure you have a working triangle between your fridge, your oven and your sink; each should be easily reachable. Before you start, you need to be honest about who will be using the kitchen most of the time, how exactly it will be used, and how much time and effort you are willing to spend looking after it. “For example, you get very different worktops and they might need to be cared for differently. Again, if you are relying on hired help, give them something sturdy that cannot be damaged. But if you are into design, and are happy to give it the required amount of care, why not have a breakfast bar made out of a wood veneer? If you will be using the breakfast bar frequently, it always feels nicer to rest your arm on a piece of wood, rather than a piece of glass or stainless steel or stone,” Goettling suggests. That’s not to say that there aren’t countless other colour options on offer. Some of Next125’s kitchens come with a choice of 27 different coloured lacquers. But Goettling recommends keeping things neutral. “I like to advise our clients that if they have a favourite colour that they really want to implement in their kitchen, they should use a more neutral kitchen cabinet, and then paint a wall in that colour. Because when it comes to flipping the unit, an off-white kitchen is more likely to appeal to the next buyer than a pink one. Goettling works with all kinds of clients, with very different tastes, but there is one constant: “Storage is always the biggest issue. People can never have enough. But there are storage methods that will help you maximise on any sized room. We have solutions for that. With kitchen companies developing an ever-increasing number of materials and design options, you will be spoilt for choice when it comes to the look of your kitchen. Firstly, have a think about what you like – and whether this will fit in with the rest of your design scheme. You may love the idea of a rustic-looking wooden kitchen, but will it complement the rest of your interior? On the other hand, don’t be afraid to experiment. High-gloss materials remain popular, but there are a growing number of matte options, too. Next125 offers a tempered glass front that comes in different colours, including slate-grey, blue and bronze, and the surface is etched, giving it a matte finish. This can be paired with a natural oak or other wooden accents, to stunning effect.